In State v. Gilmer, a Wisconsin man was charged with second offense possession of marijuana with intent to deliver in September 2012. According to the arresting Milwaukee police officers, they approached the man as he walked to a motor vehicle that they had unsuccessfully tried to stop for speeding about one week before. After the law enforcement officers identified themselves, the man allegedly began running away. The man also purportedly threw several items from his waistband as he fled. After arresting him, the officers apparently retraced the man’s flight path and uncovered more than 100 grams of marijuana in a bag that was further separated into nine individual baggies. Following a not guilty plea, the man’s case was tried before a jury. During the criminal proceedings, the parties stipulated that the substance found by police was in fact marijuana. They also agreed that the weight of the drug evidence was correct, and the fingerprints found on the bag did not belong to the defendant. In addition, three police officers and the defendant testified at trial. According to one of the officers, the fact that the marijuana was separated into numerous baggies was consistent with drug distribution. The defendant offered testimony stating the law enforcement officials failed to identify themselves as police officers, he did not see a police car, and he feared for his life when he fled. The man also asserted that he stopped running as soon as he realized he was being chased by members of the Milwaukee Police Department. The defendant further stated he did not drop a bag of marijuana despite admitting to having a tiny amount of the drug in his pocket that he kept for his personal use. At the close of the trial, the judge allowed the drug evidence to be inspected by the jury as they deliberated in the case. Ultimately, the man was convicted and filed an appeal with the Court of Appeals of Wisconsin, District I. On appeal, the defendant argued the trial court committed error when it allowed the marijuana evidence into the jury room during deliberations. As a result, the man claimed he should be granted a new trial. 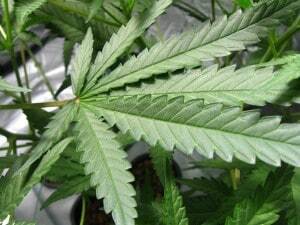 The appellate court disagreed and stated the trial court appropriately exercised its discretion when it allowed the jury to examine the marijuana. According to the court, the lower court’s decision did not produce “off-the-record evidence” that the defendant was unable to rebut. Instead, the court ruled that it was reasonable for the trial court to allow jurors to examine the smell, weight, color, and size of the bag of marijuana. Since the trial court did not abuse its discretion when it allowed the jury to examine the drug evidence offered during the deliberations process, the Court of Appeals of Wisconsin, District I affirmed the lower court’s decision in the case. If you were charged with possession of marijuana or another drug in Milwaukee, you should discuss your rights with a quality drug crimes lawyer as soon as possible. To speak with a hardworking and knowledgeable Wisconsin criminal defense attorney, contact the law offices of Reddin & Singer, LLP online or give us a call at (414) 271-6400.